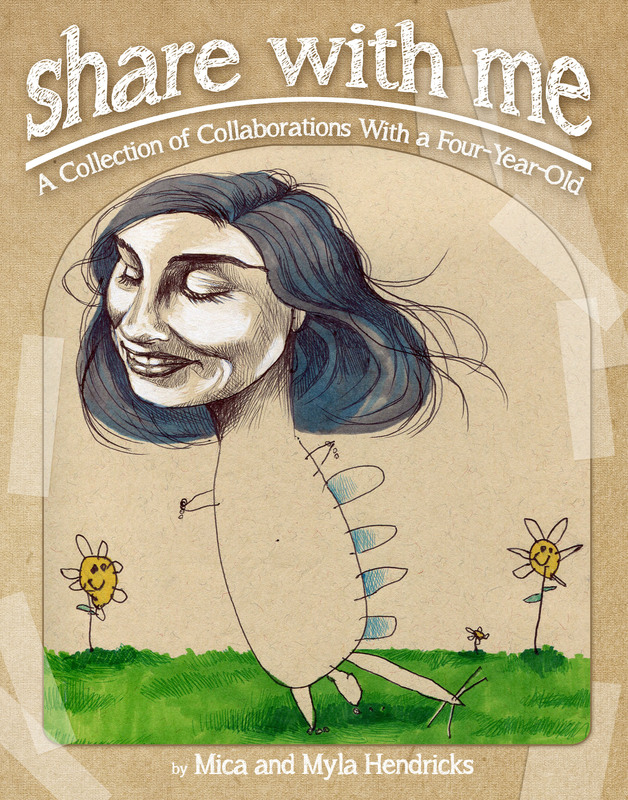 When publishing leads ran dry, I ran a Kickstarter project with the hopes of self-publishing and printing a book collection of all of the doodles I did with our 4-year old daughter. Also, I was lucky enough to have been able to use actual music from real musicians in the video. Because of copyright, options are usually limited to “free” music online (usually gloomy instrumentals), but I found a couple of songs I loved that fit perfectly with the video I put together. On a longshot, I found contact information online, and asked both artists directly if they’d be willing to let me use the music in our little ol’ KS video. I didn’t think it’d be possible at ALL, I didn’t even expect to hear back, but both artists were so generous to be willing to let me do so, and I think it fit the video perfectly. So a big heartfelt thank you to the very prolific children’s musician, Christopher Pennington, as well as the legendary Sandra Zynczak from The Free Design and her family! It took so many amazing people to not only fund this little dream project of mine, but to also help spread the word on social media and I am so grateful to all of you! 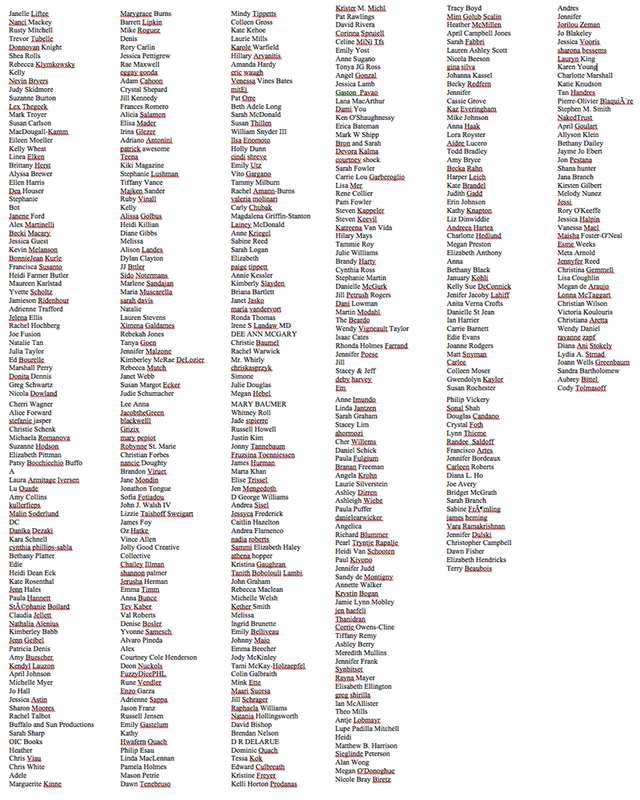 In thanks for their financial and social support, here is a list of all the backers. I know they’re listed quite tiny (you can click on it to enlarge it–I did my best trying to fit them all on there! ), but I hope they all know how much I appreciate all the support they gave us during this project. Thank you to you all! 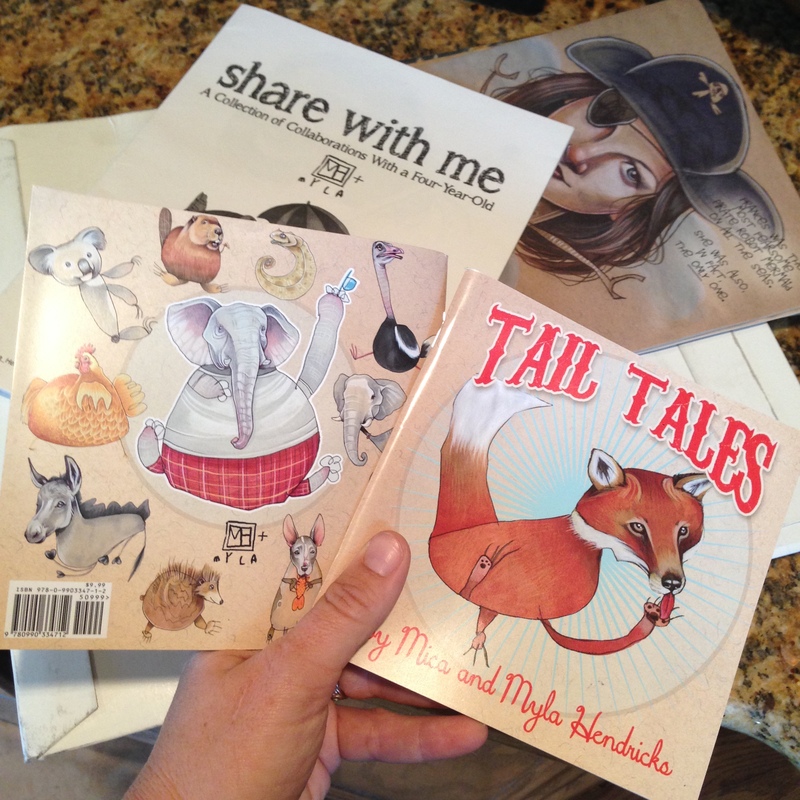 You can purchase a copy of the book in my Etsy shop here, and even request a signed copy!